Jean Rennie, Drive For Life Coordinator for the Oasis Youth Support Network Hunter with Glencore Community Relations Manager Craig Strudwick. The mining company's $100,000 donation will keep the program, based in the Hunter region of NSW, expanding. The Drive For Life program in the Hunter region of NSW has received a much-needed donation of $100,000 from Glencore, a multinational mining company, to not only help keep the doors open, but to also expand into new areas on the Central Coast. 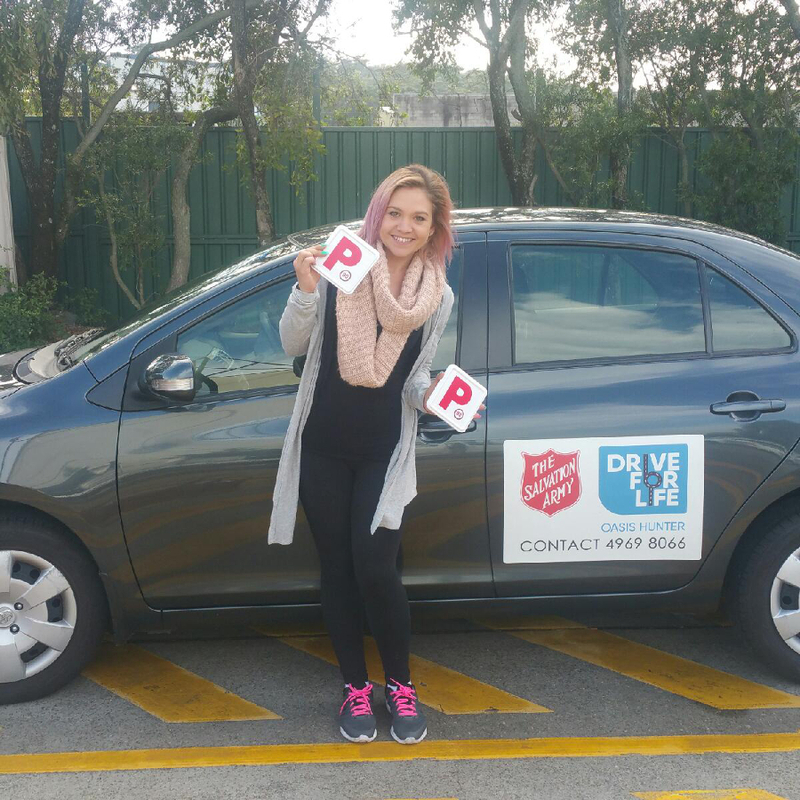 Drive For Life, run by The Salvation Army’s Oasis Youth Support Network Hunter, is a revolutionary driver mentoring program that helps disadvantaged young people learn how to drive. The program gives them access to professional driving lessons, driver mentoring and financial support to cover the costs of driving tests and licence fees. While public transport helps most people in suburban areas of Australia travel to their jobs, finding employment in regional areas can be much tougher. The lack of a licence can mean the difference between employment and unemployment. Drive For Life is looking to not only help young people find employment, but also give them greater independence and connect them to the wider Hunter community. Glencore, with a significant coal-mining presence in the Hunter Valley, has a vested interest in the young people of the region. The donation not only helps keep Drive For Life running, but also allows the program to help more young people in the Hunter Valley. For people like Shantell (pictured right), a young mother and Drive for Life graduate, the program has given her new-found independence and confidence. “I had my L plates for many years, but my struggle with anxiety prevented me from building my log-book hours and sitting the driving test,”says Shantell. “Drive For Life gave me the opportunity to form a connection with an amazing driving mentor who gave me the emotional and practical support I needed to get back behind the wheel. What a great initiative and good to see that it is being supported by big industry in our region. Keep up the good work Jean and the Salvos.